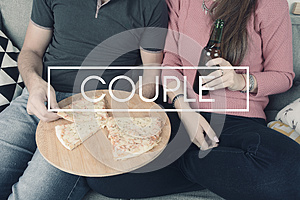 Beautiful young couple drinking beer and eating pizza with sign `couple`. Indoors. Relationship and dating concept.